Welcome to our Weekly Challenges for The Documented Life Project! If you are new to the group, first of all, WELCOME! We are glad you are here. Please follow the Art to the 5th blog (you are HERE) to get the Weekly Challenges and any other surprises throughout the year. You can also find the Weekly Challenges archived on the blog in case you are joining us later in the year and choose to catch up or just jump in now. The Weekly Challenges will be posted on Sunday by about 1:00PM Eastern Time in the US. Again, you will find them on the Art to the 5th blog. Please start HERE for a description of our project. If you are on Facebook, please join our group HERE, there is so much sharing and inspiration there. Start by reading our FAQ. Then join in as many of your questions will be answered there in full color. Feel free to ask questions as the ladies (and a few gents) are so kind and will help you. We are all starting with a planner. 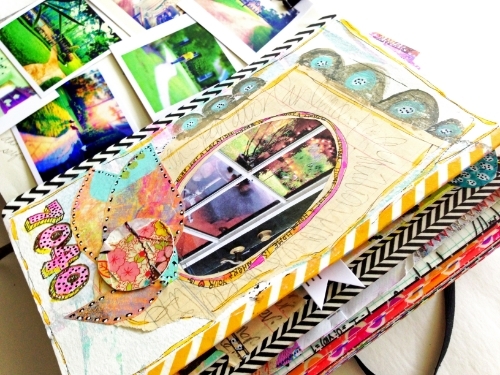 The Art to the 5th artists are using a Moleskine Weekly Planner. You are welcome to use whatever planner works for your needs. Some people are using other brands, some people are making their own - it is totally up to you. Whatever planner you are using, we are adding a page that is taped onto the last page of each week using washi or masking tape. Mostly we are using 90 lb. watercolor paper but you can use whatever strikes your fancy including art paper, scrapbook paper, ephemera, tags etc. That is where we are addressing the weekly challenge. If you would like help setting up your planner, Lorraine Bell is offering a mini-class HERE on setting up your planner and painting your cover. The class includes gorgeous downloads and is getting rave reviews! Thank you for joining us. Remember this is your planner and you get to choose what and how it works best for you. Everything else is merely suggestions. Enjoy! Be sure to click to each of our blogs to see more! 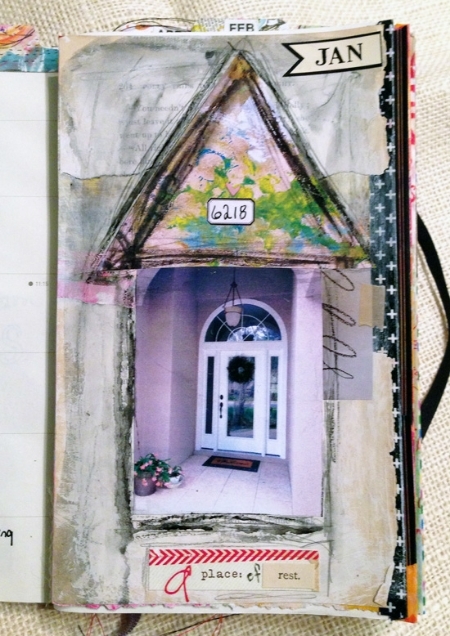 January 1 Challenge (Week One) - photograph, sketch, paint or incorporate your front door. 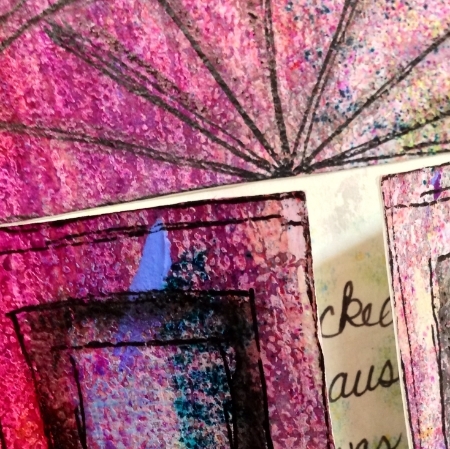 As the door opens on our new year, we all share the bond of having an entry into our home, our lives, ourselves. Through the artistic medium of your choice, show us a bit of where you live in the symbol of your door, entryway or porch. Think a bit about how you can use your door to express your personality, your life, what you value. Roben-Marie Smith - see more on her blog HERE! Sandi Keene - see more on her blog HERE! Rae Missigman - see more on her blog HERE!